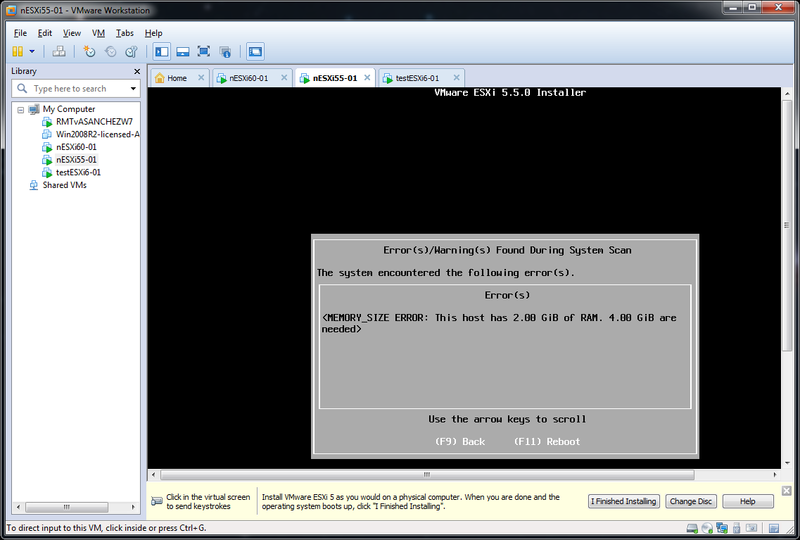 Summary: If you don't meet the minimum 4GB of RAM you may get this error. 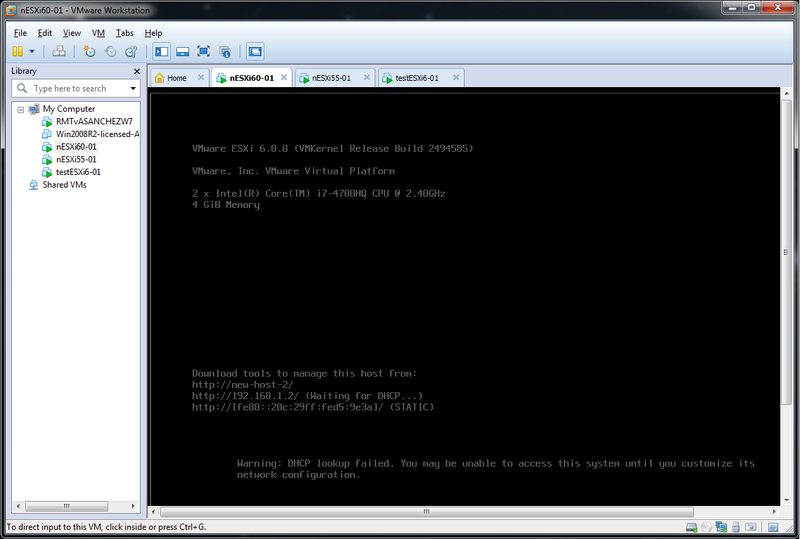 I used to do a few custom ESXi VMs for my nested hosts, keep them there and modify them as needed. This will become important later. "Well WTH?" i thought. I googled around but there wasn't anything too clear for "no network adapters" in ESXi 6.0 GA or VMware Workstation. I assumed there had to be a mistake so I checked the settings. 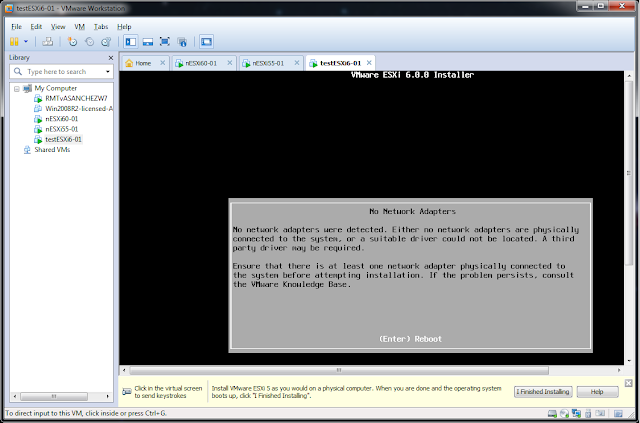 Workstation doesn't let you choose the NIC adapter, although you can edit the VMX file. Checking the VMX files, one for 5.5 and 6.0 I could see the e1000 adapter clearly listed. Then I took a step back, (RTFM echoed in my head), and I went to check what the requirements were for ESXi 6.0 and saw 4GB ram - I thought, well let's get that fixed although there wasn't an error like in 5.5. Lo and behold, the installer now worked and I was able to install without any other problems. Just want to say thank you for this post - I've been trying to install ESXi 6.0 on a test box and tearing my hair out because of this weird network adaptor error knowing that my card works on another rig, now I know why. Thanks again! Thanks you so much for the useful information, i wasted my half day debugging this error finally i got answer from your blog.. Thank you. I will test this with the latest ISO and if I can reproduce, it's a major bug!